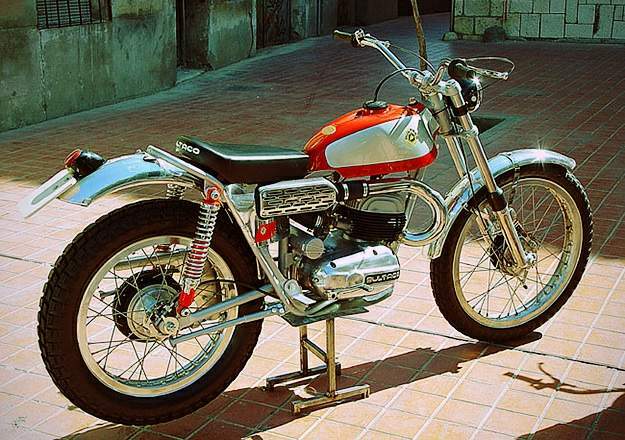 When the Spanish motorcycle manufacturer Montesa withdrew from racing, disgruntled former employees formed Bultaco. The new company quickly found success in trials racing, and the Sherpa T was perhaps its most famous machine. The lightweight two-stroke was designed with help from Irish racer Sammy Miller, and rendered the traditional heavy four-strokes obsolete. The bike in the picture is a rare Model 27 ‘San Antonio’ from the Colección Hermanos Lozano in Madrid.